Please can you give me an advice what is the fastest way from Kanchanaburi to Ko Samet in October 2017? There are a number of different ways to get from Kanchanaburi to Koh Samet by public transport, all of which involve first travelling to Bangkok and from there travelling to Ban Phe in Rayong Province to catch either a ferry or a speedboat over to Koh Samet. Unless you take a private taxi you need to allow at least 8 hours for this journey and we recommend that you set off early in the morning from Kanchanaburi so that you are in time for the last ferry of the day from Ban Phe, which departs at 17.00. Minivan from Kanchanaburi Bus Station to Morchit Bus Station in Bangkok. Departures from Kanchanaburi at 07.00 then every hour on the hour until 17.00 with the Kwan Chee Vee Tour Company. The journey by minivan from Kanchanaburi to Morchit Bus Station takes 3 hours 00 minutes and costs 150 THB if you book online. 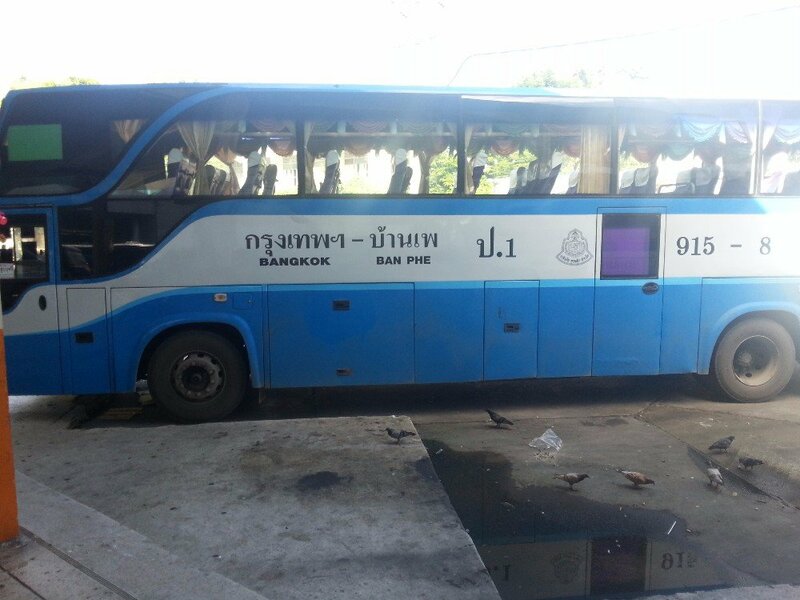 Next change to another minivan also departing from Morchit Bus to Rayong. This journey takes 3 hours 30 minutes and costs 220 THB booked online. Minivans depart every hour from 07.30 until 16.30 every day and are operated by the Rayong Tour Company. From Rayong it is a 29.7 km journey to the ferry piers at Ban Phe which should take around 40 minutes. From the bus station in Rayong you take a shared taxi to Ban Phe. They depart regularly as this is a busy route and should cost 40 THB per person. As with Option A the first stage of the journey is by minivan to Morchit Bus. You can take a bus, but they are slower, and you have the option of travelling to the Southern Bus Terminal, but this is also slower as it is further from the place in Bangkok where you catch the bus to Ban Phe. From Morchit Bus Station take a meter taxi to Mo Chit BTS station. The journey by meter taxi will cost between 50 and 60 THB. At Mo Chit BTS station board the ‘skytrain’ to Ekkamai BTS station. The fare per person is 42 THB and the journey by the BTS is scheduled to take 26 minutes. Leave from Ekkamai BTS station at Exit 2 and walk 3 minutes along the Sukhumvit Road until you reach Ekkamai Bus Station. Bus services from Ekkamai Bus Station to Ban Phe depart every hour from 06.00 to 17.00 with the Cherdchai Tour Company. Buy your ticket at the bus station. The fare is 240 THB and the journey should take around 3 hours 30 minutes although it sometimes takes 1 to 2 hours longer if the traffic is bad or the bus stops to drop off/collect passenger or parcels along the way. Shared speedboats do not run according a schedule – they depart when they are full. If you have a long wait for a speedboat you may have been better off taking the large ferry. The cost of a shared speedboat is more expensive and it varies. Expect to pay 200 to 400 THB per person depending on where you buy the ticket and which speedboat tour your use. Because of the variety of different ferry and speedboat options, and a large number of different piers, for travel from Ban Phe to Koh Samet we suggest that you check when you arrive at Ban Phe for the next available ferry or speedboat and the prices they want to charge.